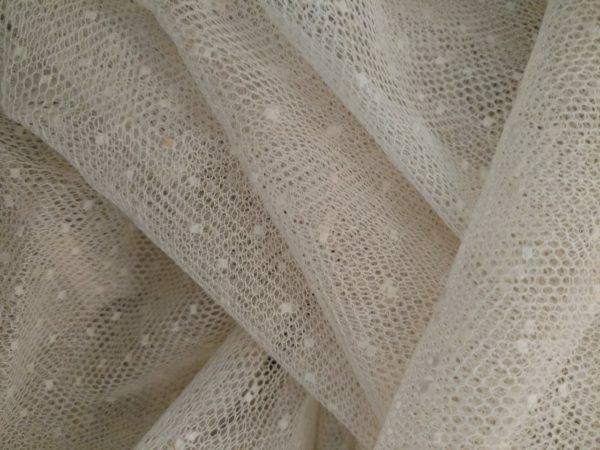 A nice old piece of vintage tulle net with dot yardage. It is a cotton fabric in a creamy white. Very nice unused condition. Suitable for costuming, doll or other dressmaking. Sew home projects or crafts.